I noticed these last night and thought I would share. 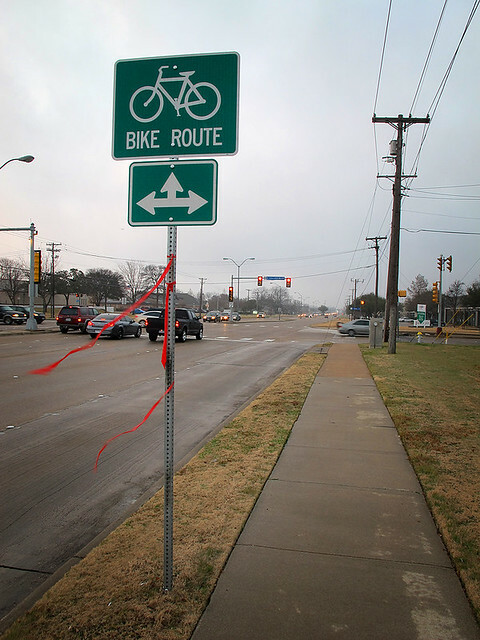 The new signs – that I’ve seen so far – are placed on Plano Road (approaching Collins) and on Collins, between Plano Road and the Central overpass. I wonder if these are place holders until they get money to finish out the painted bike lanes on Collins. While these may not seem like much, they do create awareness — a good thing — bikes belong! 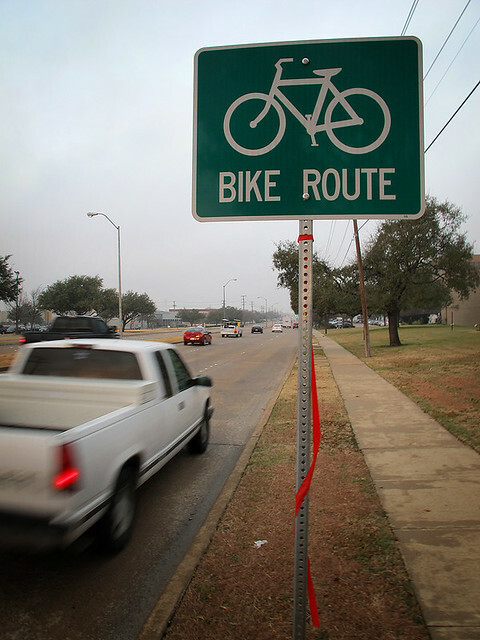 More comprehensive bicycle signage is part of the city council’s near term action items. From what I can tell from the city council meetings web page, they will have a discussion in May about how / when to finish up the planned bike lanes. I saw one or two signs on Custer (s of Arapaho) this morning that seemed new to me. A couple new ones on Custer between Arapaho/Campbell, as well as signs on Melrose (finally)!